We all love our pets. Whether it’s our dog, cat, hamster, or bird, we consider our pets to be an important member of the family (sometimes the most important member of our family!). So what do you do with your pet when heading off on a Disney World vacation? Do you find a local kennel, leave them with friends, or take your pet with you on the trip? I think most of use devoted pet-owners would prefer to bring our pets with us, but is this even an option? The good news is yes you can, in fact, bring your pets to Disney World, but there are a few caveats. In this Pets at Disney World article, we will discuss the policies around our furry friends and detail the options you have to bring your pets along with you to this magical destination. Walt Disney World Resort has had a longstanding policy concerning pets. It holds that pets are not permitted in resort hotels, theme parks, water parks, and common spaces like pools, restaurants, and transportation. The only exceptions to this rule have been for medical or disability-related service dogs (where they are permitted everywhere) and at Disney’s Fort Wilderness & Campgrounds. Shucks! So no Fido anywhere else? Good news! As of October 2017, Disney has tweaked its policy to the benefit of dog owners. Much to the joy of dog lovers across the globe, Walt Disney World Resort announced it will allow dogs at select Disney resort hotels for the first time ever. The pilot program has designated 4 of the 26 Walt Disney World resort hotels to be dog-friendly. As of now, cats and other animals are not part of this new policy. Each property has a per night/per room pet-cleaning fee associated with bringing your dog. Disney has designated certain section (or floors) of these hotels to be dog-friendly. The other sections of the hotel will remain off-limited to dogs. Disney allows a maximum of two dogs per room. Guests will receive a “Pluto’s Welcome Kit” of dog-friendly items upon check-in. Guests staying in dog-friendly rooms will have access to Best Friends Pet Care, a full-service pet facility on Disney World located property (see below). Best Friends Pet Care can provide pet daycare, grooming and other services (extra fees apply). For more information on Disney’s new dog-friendly trial program, you may call 407-W-DISNEY for more additional details. DVC Members should direct their questions to Member Services at 800-800-9800. Or you can contact a commission-free Disney Travel Agent to help you book your pet-friendly accommodations. Space is limited so don’t delay! Until now, Disney’s Fort Wilderness Resort & Campground has been the only pet-friendly Disney resort. Their pet policy states that you may bring two dogs of any size for an additional fee ($5 per night for the campsites and $50 per night for the cabins). Be advised that – like the new dog-friendly resorts – the availability of pet-friendly cabins is limited. Book early to secure your spot. Dog owners must provide proof of vaccinations in order to book. You will receive a “Pluto’s Welcome Kit'” upon check-in. This includes goodies like pet ID tag, mat, bowls, and a dog walking map. Of all the Disney resorts a dog could love, we think they will be thrilled with the natural elements of Fort Wilderness. For more on this resort, see our Best Disney Moderate Resorts page. Best Friends Pet Care will give you peace of mind when vacationing with your pets at Disney World. This full-service pet resort is located right on Disney grounds and across from the Disney’s Port Orleans Riverside Resort. There are 45 highly-trained and compassionate pet care providers on staff to give your pets the proper attention they need during your stay. Best Friends Pet Care is 50,000 square-foot complex offering a wide range of amenities, activities, and perks to keep your pets happy when you are away enjoying the theme parks and water parks. The pet center offers boarding, daycare, and grooming services for dogs, cats, and other types of animals. If you are looking for a safe and fun environment to leave your pets, Best Friends Pet Care is your best bet in terms of proximity to your resort and the service they provide. Whether your pet stays for the day or a week or more, The Best Friends Facility at Disney World is there to serve them with a variety of great accommodations. The suites are safe; they are cleaned daily with hospital-grade disinfectants. Choose from a range of accommodations – from basic indoor to indoor/outdoor to VIP! Pets must have proof of current vaccinations to be accepted. Other accommodations and services available. Rates start at $27 for a full day of Day Camp, with discounts for more 5 days or more. The “Best Friends Pampered Pet Package” includes a deep cleaning hypo-allergenic shampoo and massage, gentle brushing, ear cleaning, and nail trim. The “Go Home Fresh” is another service is for overnight pets who just need a good pampering and cleaning. Other services include a shed-reduction treatment, moisturizing treatment, teeth cleaning, and the list goes on. Rates vary by breed and services received. Call Best Friends Pet Care to discuss your options. Best Friends is located right across from Disney’s Port Orleans Riverside Resort. It boasts accommodations for up to 300 dogs, cats, and pocket pets. It also offers two 1,100 sq ft doggy day camp rooms and even a full-service grooming salon. As you enjoy the rides, your pets will stay active in watching movies, eating special treats, and mingling in playgroups. Who knew Disney World could be so fun for pets! If you choose to board your pet at Best Friends Pet Care, you will be allowed to visit your him/her after your day of park hopping. The facility offers a private dog park to play or may want to just walk the grounds of the facility. Hours: Opens 1 hour before the park officially opens and closes one hour after the park closes (Check WDW Park Hours). While you will not be allowed to stay with your pets overnight (obviously), you may want to stay at a nearby resort. We suggest considering the Disney Springs-area resorts of Port Orleans Riverside, Port Orleans French Quarter, and Saratoga Springs Resort & Spa because they will be closest. If you would like to discuss your option or make a reservation, call 877-4-WDW-PETS or visit the Best Friends Pet Care website. We hope our Pets at Disney World page has helped you decide what to do with your pets during your Disney World vacation. 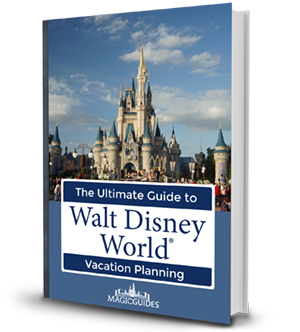 For more useful Disney World information, please review some additional pages on MagicGuides like our Disney Dining Plan Calculator, Disney Transportation Map, and Disney World Tips and Tricks articles.